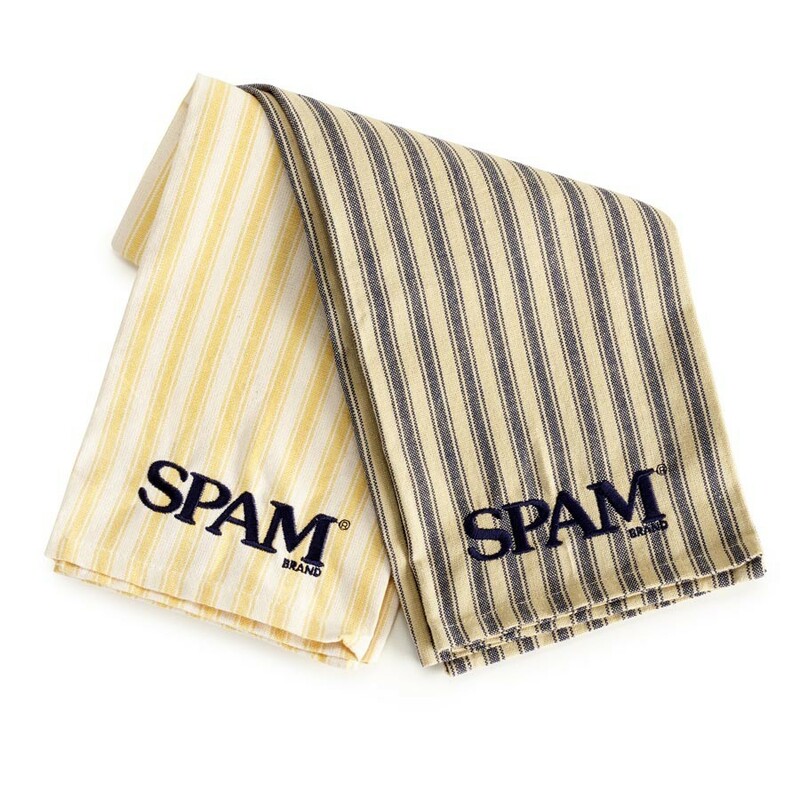 Striped SPAM® Brand Dish Towel with SPAM® Brand embroidery. Choose from yellow or navy stripes. 28"X18". This item is currently out of stock. Call for more details.